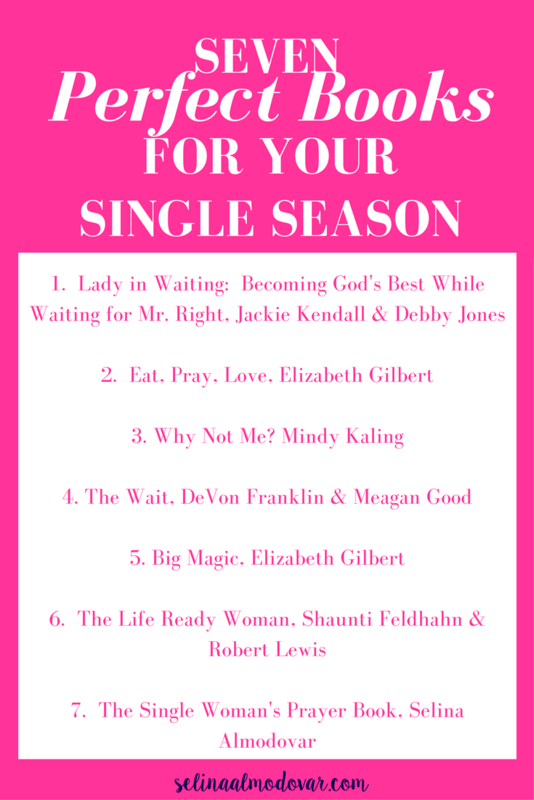 You can look at your single season one of two ways: Either you’re gonna feel down and out and mopey and confused as to why you’re single or, you’re gonna feel like this is the perfect opportunity to work on you and live out the best chapter of your life! Regardless of how you’re feeling exactly, I was in the same boat. My single season at first was pathetic and pitiful. I did all the things I should not have done and I was inching towards my rock bottom. But after a while, I decided to stop focusing on the bad, and instead use my season for good. I was going to learn more about myself than ever before. I was prepared to do things that I have always wanted to do, and my trust in God that this season was meant to teach me something was at an all-time high. A LOT of my life lessons that I gained during my single season came from reading books. A LOT of books. I couldn’t get enough info on dating, relationships, love, faith, and how to discover the best version of me. So, I narrowed my list down for you. I want to share with you the top seven books that got me to discover the very best me in my single season that prepared me for all of the future seasons to come. such as, get married, start my business, develop my faith in God, and surround myself with deep and meaningful friendships. Check them out, and see what they can do for you! I began reading this book once I fully decided to give God all of my attention. In this book, I learned about serving God during my single season, and what it meant to live a life of purity. Which was VERY foreign to me at the time! So, needless to say, this gave me the in’s and out’s of what it meant to be a single, Christian, millennial woman living a modern-day world. Perks: It has an interactive journal portion in the book that allows you to make each chapter personal with your own experiences, prayer requests, and ah-ha moments. Wow oh, wow, did this book really affect me! For starters, when I was at first single (for longer than a month), all I wanted to do was indulge myself. And to a certain point, that’s totally ok! I treated myself to countless Groupon deals and traveled as often as my job would allow me to. But after a while, when the treating myself wasn’t fully satisfying anymore, I knew that I had to focus more on something deeper. That’s when I began to really steer towards developing a personal relationship with God. Once my faith and my self-love were in alignment, I totally ran into love!! While the author experienced her story in a year, it took me three years to live out my version of “Eat, Pray, Love”! Perks: This book shares inspiration among three very different, yet essential seasons in one’s life. NOTE: While the author and I share different views on faith, I was still able to use this story to draw near to Christ and note how important it was to do so for my life. Perks: This book is super hilarious and motivating at the same time. You can easily read through this in one weekend… then set out to conquer the world on Monday! So once I was determined to develop my personal relationship with Christ, I was committed to waiting to become intimate until marriage. Some folks got why waiting till marriage mattered while others thought it was downright crazy to not “taste the milk before buying the cow”. I had my reasons and it made total sense to me. Thanks to this book, all of those reasons are now broken down in such a way that anyone could understand the importance (and benefits) of waiting till marriage. Perks: There are various ways that they apply the “waiting” principle throughout your life, such as in your finances, in business, in your health, friendships, etc. There are also nice little checklists of ideas that are offered to help you wait throughout your single and dating season! And checklists are always nice! Perks: This book is speaking directly to you about using your God-given gifts and passions, and she does it like a story, so it’s easy to read through. It’s like you’re reading a really good story of her humble beginnings and then, boom! She drops on you the biggest nugget of inspiration ever! Definitely, a must-read if you’re ready to take a leap of faith and do something BIG during your single season. Call me crazy, but thinking about the future used to freak me out. Like, how would it all come together? I used to think I was a hot mess then, so I could’ve only imagined what my hot-mess future would entail. That is until I read this book. It breaks down your life into seasons (beginning with your single season!) and it carries you all the way through your dream seasons of marriage, family, running a business, etc. It inspires you to plan ahead and to seek God’s wisdom throughout every single season. Perks: This book has a lot of interactive portions that you can do, such as reflection questions, tips on what you can do in your current season, and bible verses to match everything you read! I just HAD to share this one with you! This is my very first published book!! Now, the biggest lesson I learned during my single season (which I hope I can inspire you to also learn this lesson!) was to pray. But as I mentioned earlier, my relationship with God was super new, so praying didn’t come to me as easy as it may for others. I had to learn how to pray and why praying even mattered. And it totally did! In this book, you’ll get 30 prayers that you can use throughout your single season to help shape who you are, create a foundation for your love-life, and prepare yourself for Mr. Right! Perks: There is a HUGE resource page that you can explore with extra handouts, videos, and resources to enhance your praying experience. There’s also a journal component where you can add your own personal prayers and notes! So there you have it!! Did my list measure up to your expectations? 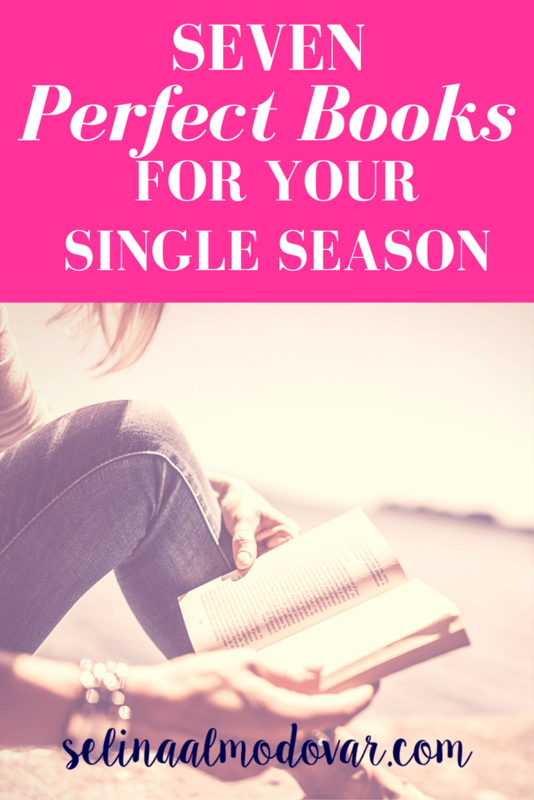 Am I missing any books that helped shape your single season? Share them in the comments below!